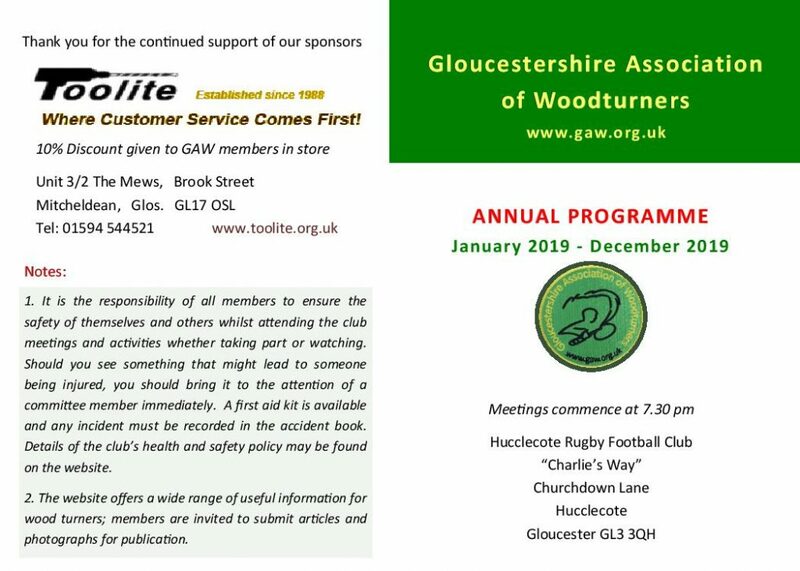 2019 annual programme now available below. Please see the event diary below. A free video/dvd library which contains well known titles on woodturning. 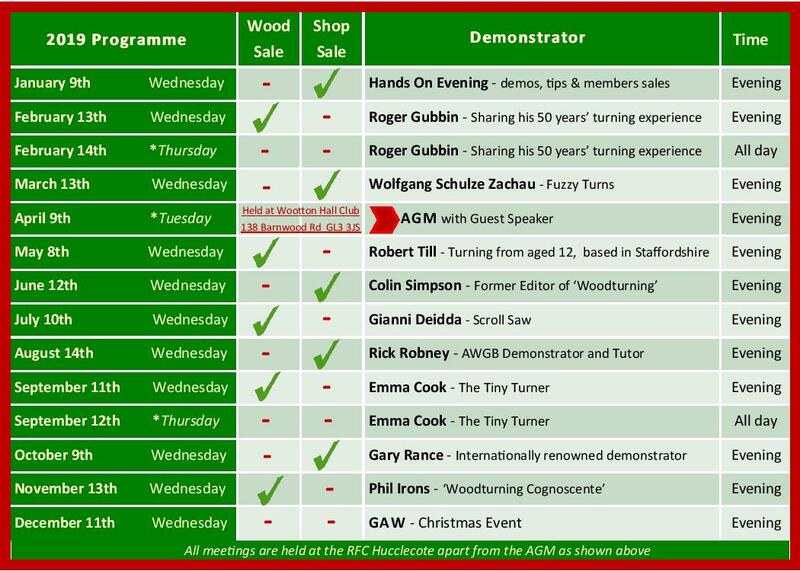 Either a woodturning sundries sale (abrasives, finishes etc) or a wood sale (bowl and spindle blanks). Free tea/coffee and biscuits at the mid session break, where members can catch up with all the gossip. Membership is £26 for 2019 (Jan to Dec) and is pro rata’d for people joining during the year. If you’ve not been to one of our meetings before you are most welcome to come along to any meeting as a visitor (£3 entrance fee for visitors).